Foundational landscape design elements can easily bring small areas to life. Recognizing the elements already in place is the first step in creating a successful compact landscape. By nature, small spaces have many of the vertical elements present to create a ‘room’ effect. Walls, windows, porch pillars, or nearby shade trees provide scale and have already created a sense of space. A trained eye will help you use these elements to advantage as you step through the design process. Small spaces call for plant material that will stay compact and not outgrow the space. Often dwarf shrub/tree varieties are a great choice, as they are extremely slow growers and stay compact over their lifetime. Dwarf varieties are available in both evergreen and deciduous species and can offer ‘instant’ height to a space while not outgrowing it in the future. Weeping trees are also well suited for small spaces and can offer substantial scale. These will grow slowly in height and width, and the new growth in their downward trailing branches can be easily pruned. Landscape maintenance professionals can also use growth regulators to slow the growth rate of a tree or shrub to help keep it from outgrowing a space. Screening blank facades of a home with vegetation softens the look of a structure and can add contrasting colors to these potentially uninteresting areas. Being aware of available hardy plant material is essential to creating a successful compact landscape. Often, due to space restrictions, there may only be a few varieties of trees, shrubs, or perennials that will achieve the effect the designer or homeowner is seeking. A visit to your local nursery ahead of planting time would be helpful in creating possible plant palettes, and landscape trade associations often have helpful information available on hardy plant material for your area. Upright water features or fountains are an excellent way to bring both height and ‘white noise’ to a compact space. When properly designed, they can occupy a very small footprint even as they add height and texture. 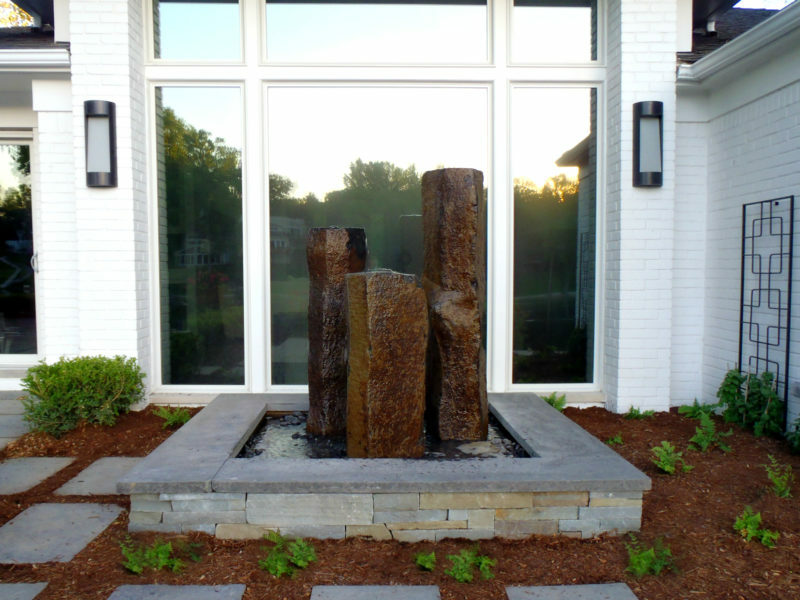 Bubbling basalt columns are a great choice for these spaces and are available in heights from 2 to 30 feet. Choose a single pillar or use them in combination for a more dramatic effect. For reduced maintenance, these vertical elements can be installed as a focal point themselves, without the element of water. Often landscape designers will incorporate constructed elements to integrate the house with the landscape. Wood and stone, used properly, can help create a structural component to accent a home. Examples include arbors, pergolas, cantilevered roofs, architectural lattice screens, and so on. Climbing vines, flowering vines, and even hanging annual planters can be combined with these elements to further draw the structure into the landscape. Adding landscape lighting can provide considerable drama as well. Since the space is smaller, a homeowner can achieve fantastic results with a lower budget than it would take to create the same effect in a larger outdoor space. Upright annual flower pots are a great way to bring a vertical element to a space while bringing the cheery bursts of color and texture of annuals closer to be enjoyed by all. 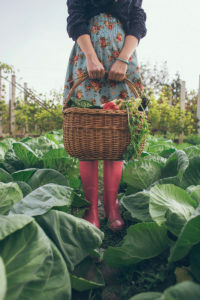 These pots can be left out year-round and replanted seasonally for a dash of early spring color, a skyrocket of summer glory, the warmth of fall mums and decorative gourds, and a mix of winter greens, red-stem dogwood branches, berries, and pinecones to enjoy until pansies finally start to arrive at your local greenhouse. Understanding landscape design elements will help your compact landscape space to reach its potential. A dedicated homeowner can achieve professional results with just a small investment of time into research and planning. 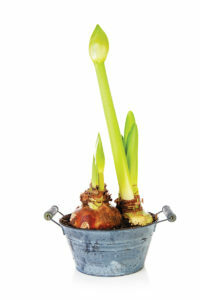 Garden centers are a great resource for plant material information and potential design services. Searching online sites for inspiration will open a homeowner’s eyes to the unlocked potential of their property. Consulting with a landscape design/installation professional will also ensure that your compact outdoor space will deliver maximum impact.